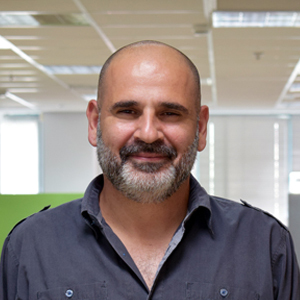 Motti Mor is a co-founder of the company and currently serves as PandoLogic's Chief Operating Officer and the General Manager of our office in Israel. Motti has 14 years of hands-on software development and management experience. Prior to assuming his current role, Motti was Chief Client Office running PandoLogic's Partner Success Team and prior to that Vice President of R&D at PandoLogic Ltd. Motti brings a wealth of experience to PandoLogic in technology and customer care. He has managed multiple projects from concept to delivery, used by millions of people. Before joining PandoLogic, Motti was the Technology Manager of US operations at RedMatch, Ltd. and a Development Team Leader at Edusoft. Motti holds an Associate Degree in Computer Sciences and BA degree at business management. He lives in Israel with his wife and three children.